Madison, Wisconsin, February 22, 2018: Prairie Athletic Club is happy to announce their Silver win for BEST Fitness Center in the Best of Madison 2018 poll. What makes the Best of Madison list from Madison Magazine so special is the nomination process. The people of Madison and outlying areas choose which companies are nominated and which ones ultimately win. Rather than a panel of judges that pick and choose, the Best of Madison poll is what the people truly believe. The end result is a mixture of well known and newly discovered treasures that make the greater Madison area so great and vibrant. 2018 marks the 37th edition of Madison Magazine’s Best of Madison Poll. The reveal of the winners in this years poll had a Wizard of Oz theme. Making connections to the colorful characters that occupy the film to the many businesses that dazzle the public. Prairie Athletic Club is no stranger to winning in the Best of Madison poll. 2017, 2016, and 2015 all saw silver wins with a gold placing in 2013. With such a run of success it’s no wonder that people from all around Southern Wisconsin consider them their go-to fitness facility. With an over 250,000 square feet facility, the Prairie Athletic Club is the largest health club in all of Wisconsin. It’s hard to think of a single amenity that the fitness facility doesn’t offer. 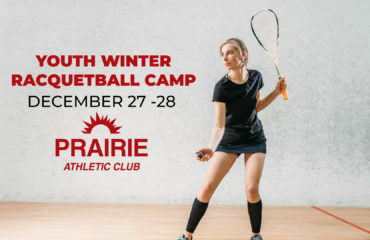 From racquetball and basketball courts, to the indoor swimming pool and outdoor water park, Prairie Athletic Club does not disappoint. Sign Up Today! Address: 1010 N Bird St.